Sound energy comes from vibrations that travel through air, water, or any other type of matter producing sound waves. The transmission of sound vibrations produces a physical and mechanical energy that occurs at various degrees of pitch and intensity. In addition to being heard and felt, sound vibrations directly affect the balance of energy within your living space, mind, and body. Just as sound healing can affect the human body and energetic systems, it can also affect the chi or energy of a space. When two objects vibrate in proximity, after time they begin to vibrate at the same frequency, a principle physics called entrainment. Sound coming from a variety of sound making objects has its own vibration that entrains with the environment, so sound has the power and potential to change vibration in both spaces and biological entities. The practice of this type of healing dates back to ancient times and is used to bring the physical body into alignment and balance through the chakras, or energy centers, and to bring the energetic environment of a space into alignment, as well. Creating pleasant sounds not only makes a space feel more harmonious from a sensory perspective, but it can also greatly affect the chi energy, helping it to move throughout a space. There are a number of examples of how sound energy can affect the flow of chi. Noise pollution comes from many sources, and it can have harmful effects on body, mind, spirit, and spaces. There are various types of noise pollution that can create negative chi. Likewise, pleasant sounds can help cancel negative energy, whether it arises from noise pollution, poison arrows, or other things that create unpleasant vibrations. Sound can correct any type of negative chi, not just low vibration created by unpleasant noises. Practitioners of feng shui use sound energy as remedies and cures, to attract auspicious chi, and to remove stagnant chi. Sound energy can be used in your home, outdoor areas, or work space. Using sound energy as a cure or remedy in feng shui means you are using it to make a correction to the energy that exists in a space or area. When you apply the cure or remedy, sometimes called an adjustment, you shift the energy, bringing it into the correct balance. One method for curing stagnant or negative energy is to place a bell on a table or desk and ring it with the intention of removing the negative energy and attracting positive chi into the space. You could also use tinghas or gongs in the same manner. Sound the bells in closets or corners where chi tends to stagnate. 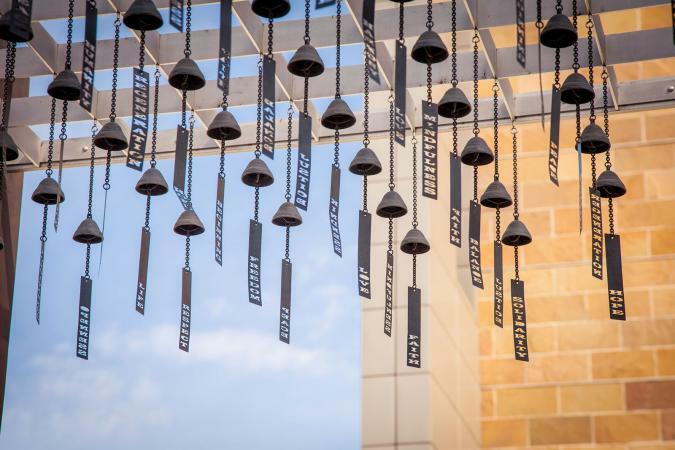 Attract positive chi into your space or transmute negative chi by placing a wind chime at the outside entrance of your home or garden. Reduce stress and quickly bring a feeling of tranquility into a room by introducing a water fountain to the space. The sound of the bubbling water mimics nature sounds. Be careful not to place a water feature in bedrooms or the south sector of your home. Check your flying star chart before introducing this or any other element into a particular sector. You can place a water feature outside your home in the north sector as well as the southeast. Water spouting into the air is a great cure for poison arrows. If you move into a new home that has negative energy left behind by former tenants or owners, use sound energy to clear the space. First, you must clear the negative energy by clapping your hands or beating on a drum. You need to do this with the intention of removing the negative chi that has been left behind. Next, with deliberate intention invite positive chi into your home using pleasing sounds by playing a singing bowl. 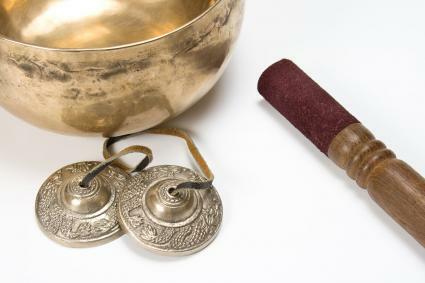 The pleasant tone and vibration the singing bowl creates will cleanse the energy of the space. Play relaxing or uplifting music with the sounds of nature to fill your home with positive uplifting energy. Use ambient noise generators, such as one that plays white noise or nature sounds, to cover noise pollution and keep its effects to a minimum. The sounds of nature consist of two basic groups. The first is the sound of natural phenomena such as ocean waves crashing onto the shore, gentle rain falling in a forest, or the wind rushing through the trees. The second is the sounds made by animals, such as the purring of a cat, the chirping of a cricket or a bird's melodious song. Depending on the person and their individual circumstances, the sounds of nature have the ability to provide many of the positive effects and benefits sought with sound healing. Spending time in nature and listening to the natural sounds of the environment generally reduces stress and produces a feeling of great calmness. Listening to the relaxing sounds of nature music usually has the same effect. Recharge in nature away from noise pollution so you can bring that positive energy back with you into the spaces where you live, work, and play. When using sound energy in a feng shui cure, it is important to set and hold your intention. You can accomplish this by relaxing and clearing your mind and then visualizing your intent or what it is that you want to accomplish. Let yourself feel that it is already accomplished. You will then seal your intention by firmly expecting the desired results.